THE main opposition MDC will today hold an urgent caucus meeting to discuss the arrests of several of their legislators over the weekend and persecution of several others who have now gone into hiding after being accused of orchestrating last week’s successful countrywide stayaway. “The United Nations strongly believes that the current challenges in the country can only be resolved through peaceful and consultative processes,” the UN said in a statement last night. “Tomorrow [today], we will hold a party caucus for MDC Alliance MPs at Harvest House in Harare, with the view of discussing their victimisation because it is not fair,” Mutseyami said. “Those that have been arrested are going through trauma and have no access to food or hospitals. Our caucus meeting will map the way forward and thereafter, we will issue a Press statement. We appeal to our legislators to try to make it to Harare,” Mutseyami said. “The relatives of those MPs that are in hiding have also suffered a lot, with their mothers, fathers, sisters and brothers being tortured to force them to disclose their whereabouts. We are under siege as MDC Alliance members, although these demonstrations were not organised by us. “These arrests are a clear clampdown on our party for no reason. It is problematic because one of our top members [Chibaya] has been arrested and we do not know how far to the top [echelons of the party] they want to go because, clearly, they are determined to extinguish the party,” MDC spokesperson Jacob Mafume said. 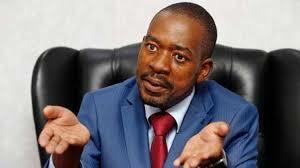 “It is clear that this is a strategy to just weaken the MDC,” he said, adding that they would then force them into a false interparty dialogue. The issue in Zimbabwe has nothing to do with MDC, but they are conveniently roping in the MDC because they are so scared of the MDC, they are so afraid of MDC and they literally see the MDC in everything.